lyngen Powerstretch Pro Zip Hoodie (M) is rated 5.0 out of 5 by 7. Made for the ski touring enthusiast, the lyngen Power Stretch Pro Hoodie is flexible, breathable and quick drying midlayer with great durability. 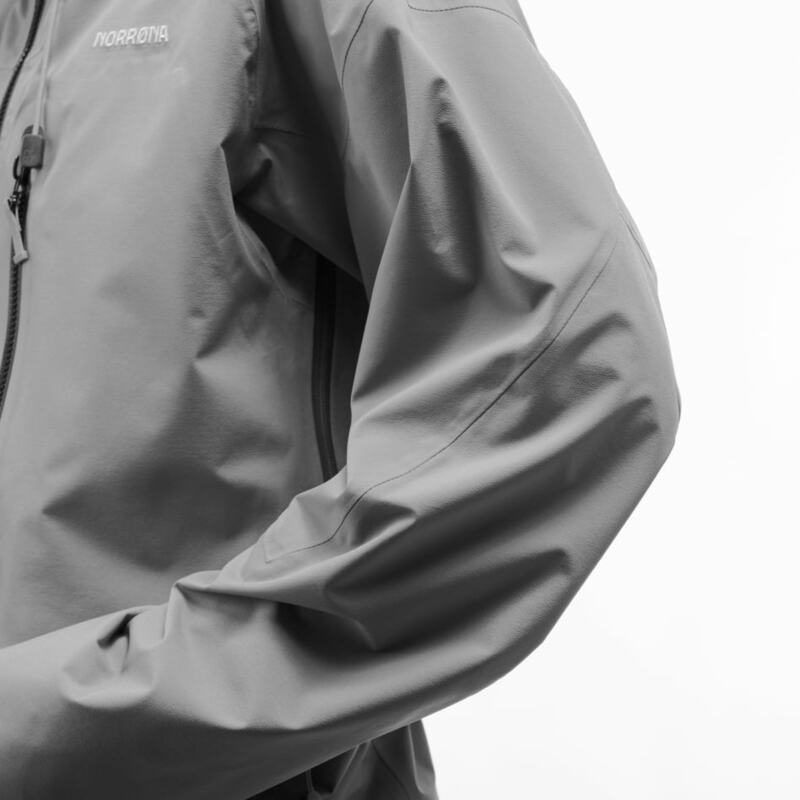 The light weight and fitted jacket is equipped with an integrated face mask which can be stored behind your neck when not in use, and will protect your face and prevent frost bite when worn. Combined with the hood, it will create a balaclava-effect used under your helmet. The durable hoodie is made of Polartec® Power Stretch® to ensure great movement when conquering new peaks and riding new lines. It has hand warming pockets and chest pockets for smart storing of essentials, cuffs with thumb holes and reinforced elbows in stretch. Rated 5 out of 5 by Matt777 from Phenomenal Fabric! Great Features! Fabric feels incredible - stretchy, breathable. May not be the most durable over time, but the reinforced elbows and chest pocket area are more durable. Built in face shield is not noticeable until you need it; nose and mouth openings prevent moisture build-up and freezing. Side pockets are also not noticeable until you need them; they do not bunch up at all. Have used the jacket as a lighter mid layer alpine skiing, on colder mornings getting started rock climbing, and just to get coffee. 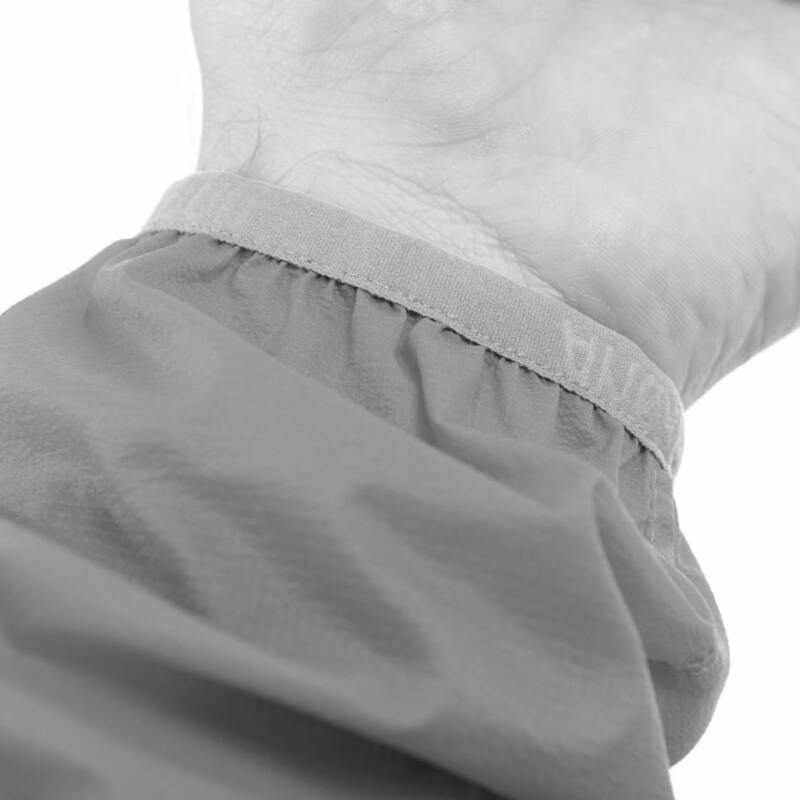 The pockets are super useful when you need them - lens wipe, chapstick, headlamp, snacks. Hood fits over helmet. As an American my only qualm is with the main zipper being on the left, vice the right, but I am willing to deal with that. Super comfortable fabric. You won't want to take it off. Rated 5 out of 5 by Dan7139 from Best Hoodie Ever Don’t think about it, just buy it...super high quality materials and versatile uses from hiking, ski touring, and extreme winter mountain conditions this mid layer can’t be beat. Rated 5 out of 5 by OntheSnow from Stop Reading: Buy You should stop reading this review and just buy one of these. I have been wearing this jacket the last week in Colorado (temperature between -1F & 30F) under my Lofoton Gore-Tex Pro Jacket and absolutely love it! In the morning I would ride without the built-n face mask but in the afternoon, when the temp dropped and the wind picked up, the face mask was amazing. As opposed to other face masks, the Lyngen Hoodie does not feel like you are being suffocated and does not retain a lot of moisture given the size of the openings. I am 5'10", 175 lbs and the large fit great. Love it!!! Rated 5 out of 5 by RichardW from Perfect mid-layer I purchased this for splitboard touring but have ended up wearing it all the time. It isn't too bulky so fits easily underneath a shell jacket, but can also be worn on it's own (with a close fitting base layer underneath). Rated 5 out of 5 by artapaloak from Really worth it Great jacket!! Absolutely worth it!! it fulfill my expectations! !